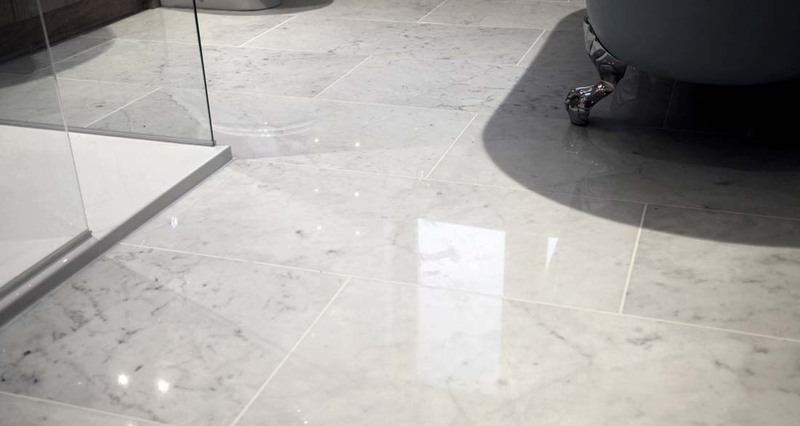 Floortiqué has put together a broad collection of stone tiles. 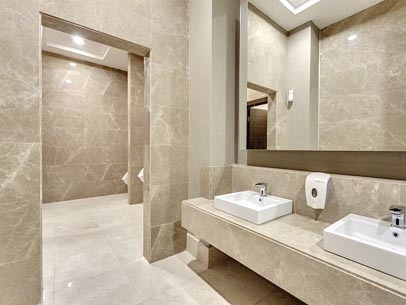 We have a range of Limestone, Marble, Slate, Basalt, Granite, Travertine and mosaics suitable for all sorts of applications in Bathrooms and Kitchens. 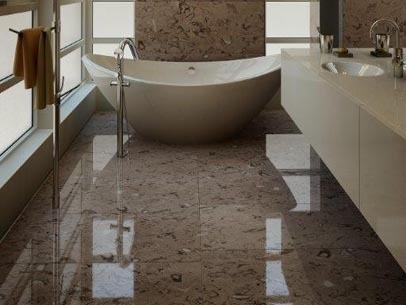 A creamy beige marble suitable for bathrooms and kitchens. Available in polished and honed finish. Beige and grey beige marbles never go out of style. Crema Marfil from Spain is still one of our most popular marble tiles. A dark grey marble in large format 610 x 610 and 406mm. Used to spectacular effect in adjacent bathrooms shot. Available in polished finish. We carry fashionable grey marbles Graphite, Fossil Grey, Nuage Grey and Argento. 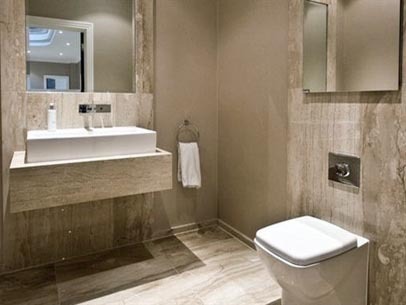 A creamy beige marble with striations, suitable for bathrooms and kitchens. All marbles are also available in cut to size for vanity tops and bath surrounds.